Facial swelling is a sign of an allergic reaction to vitamin D. Certain symptoms are categorized as severe allergic symptoms, such as a rapid heart rate, feeling faint and facial swelling. If your face, lips, mouth, tongue or throat begin to swell, call 911 immediately. You may be experiencing an allergic reaction that could lead to death if not properly treated. If you're allergic to vitamin D supplement, you can still consume naturally occurring vitamin D in foods. An allergic reaction to vitamin D is caused by consuming the synthetic vitamin. Drugs.com warns that if you develop facial swelling while taking vitamin D supplements, you need to call emergency medical personnel right away. During an allergic reaction, your immune system identifies the synthetic vitamin D as an intruding substance, called an allergen. This mistake causes a chemical reaction to occur throughout your body. Most allergic reactions cause mild to moderate symptoms, such as nasal congestion, shortness of breath and skin rashes. As with any medication or supplement, you may develop a severe allergic reaction, called anaphylaxis, according to MedlinePlus. Unlike mild to moderate allergic reaction symptoms, facial swelling can develop very quickly after consuming the vitamin D supplement. Anaphylaxis symptoms may develop suddenly, causing your body to enter a state of shock. In this type of allergic reaction, your entire body can experience a sudden a drop in blood pressure, an increased heart rate, dizziness, the inability to breathe, loss of consciousness and hives, according to PubMed Health. Facial swelling may also be accompanied by throat swelling, which could cut off your air supply. The most effective treatment for facial swelling from an extreme allergic reaction to vitamin D is an injection of epinephrine. Epinephrine is synthetic adrenaline that is prescribed by your doctor. 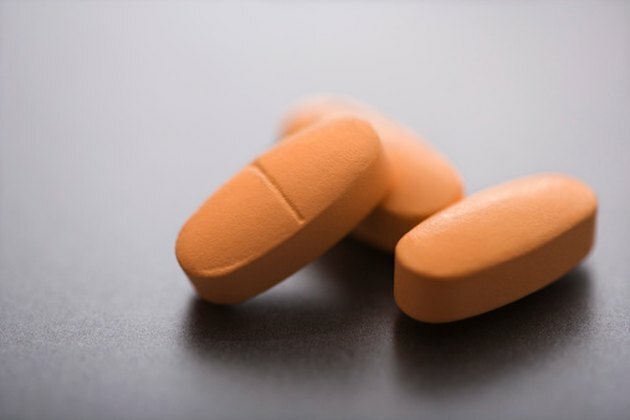 If you're had previous anaphylactic reactions, you may have this medication on your person. If you do, give yourself an injection and call 911. If you do not have this prescription, either go to the closest emergency room or call 911. Without this medication you can develop serious medical complications and even death. Your doctor will most likely recommend allergy testing to confirm an allergic reaction to vitamin D supplements. Allergy tests use your skin and blood to determine if your body creates immunoglobulin E antibodies when the supplement is introduced into your body.